The Mailify REST API can control contact lists and blacklists, and retrieve campaign statistics. The API is automatically disabled. To activate it, go to the "Developers" section of Mailify Sunrise settings. 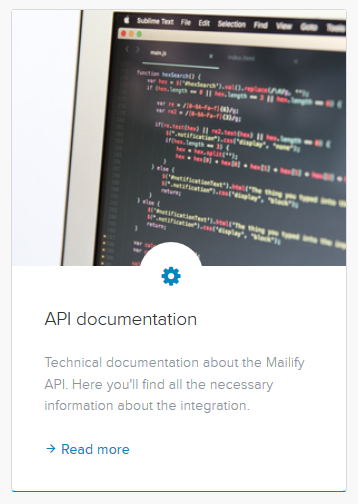 Then just click on the "Switch" button next to the "Mailify API is currently off" button. By activating it, you have a new field that appears "Add an API key". By clicking on it, you set the description of your API key. To confirm, just click on the green check. However, it is necessary to have technical skills in development to integrate Mailify Sunrise API.